Published: Jan. 13, 2015 at 01:08 p.m. Updated: Jan. 13, 2015 at 02:46 p.m.
With the Divisional Round in the rearview, the NFL Power Rankings lie ahead -- you're only a few paragraphs away, I promise! But before you continue reading, please complete whatever task you were doing by making a football move. Nobody ever said it better than Madden, if 3 guys sitting in bar all know it's a catch, it is. Bad rule. Right call doesn't change that. Yep, Don, that John Madden was onto something. Simplify, simplify, simplify. A) That call didn't lose the game for the Cowboys. Had Dallas scored and gotten a two-point conversion, Green Bay only would've been down by three, with ample time left for Aaron Rodgers to carve up that defense again. B) To me, the real problem was not this ambiguous rule of securing the ball and "making a football move" -- it was the failure to follow the purported rules of instant replay. If we aren't totally sure whether Bryant was lunging for the end zone or merely stumbling to secure a catch -- i.e., whether or not he was making a football move -- then we don't have the incontrovertible evidence that is required to overturn the ruling on the field, right? Thus, the call on the field should've stood. C) Arguably the most important play of the game was DeMarco Murray's third-quarter fumble. Murray, who otherwise enjoyed a spectacular season, could have run to Wheaton, Illinois, with that hole -- and given the Cowboys an 11-point lead in the process. Instead, Green Bay recovered and eventually kicked a field goal, and we had ourselves a one-point ballgame. OK, enough dillydally; let's get on to the rankings. As we do every week in the playoffs, we're only analyzing those teams that were still alive entering the prior weekend. 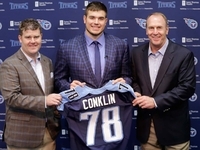 (Sorry, Titans fans -- I know you're devastated.) And as always, feel free to share your take: @HarrisonNFL is the place. 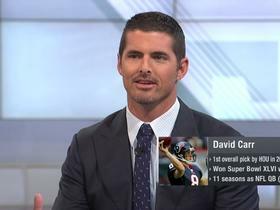 Elliot Harrison explains his ranking process on "The Power Rankings Show" and serves as lead analyst on the "Team Report Cards" series, which you can watch at NFL.com/NOW or via the NFL NOW app. 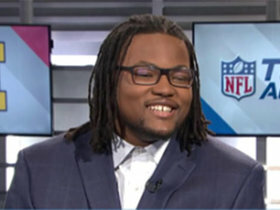 Follow Elliot on Twitter @HarrisonNFL. One wonders if Kam Chancellor could leap over that tweet up there, block the lengthy catch/no catch intro and get Seahawks fans straight to their favorite team's blurb. What an athlete. And what a way to pull a Luke Kuechly on Kuechly's team to put the game away. Yup, Chancellor sat on a Cam Newton hot read, much like the Panthers linebacker did to Ryan Lindley during Wild Card Weekend -- though Chancellor one-upped Kuechly by putting six points on the board, as well. Oh, and mad props to Luke Willson -- the pride of Rice University has been a secret weapon on this Seattle team for quite some time, though the secret got out on Saturday night. Heckuva game Saturday between the Ravens and Patriots. Said it Monday, said it last month and said it back in April: Tom Brady is the second-best quarterback of all time. You can't teach the laser focus -- or performance control -- he possesses. When the chips are down, when he has made some big mistakes (like the interception to Daryl Smith), Brady has a way of channeling anger into action -- action of the positive sort. He never presses, never forces throws and always plays within himself. Playoff football's an emotional roller coaster -- Brady's ability to ride it cannot be underappreciated. Power Rankings side thought: How much of a mismatch does Rob Gronkowski present? Maybe they should throw to him 30 times a game. Good night. There's a strong argument for J.J. Watt as NFL MVP, but it just wouldn't be right if Aaron Rodgers didn't at least get a share of the award. (Yes, I'm fine with Co-MVPs.) The 2014 campaign has seen so many fantastic individual efforts, but it would be impossible to write the story of the season without prominently featuring Rodgers. Sunday's game was another exhibit of his value in a catalogue of exhibits. 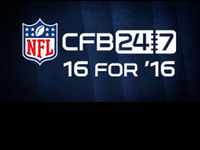 As far as this coming Sunday's NFC Championship Game prediction, you'll have to check out my game picks on Thursday. But considering that Rodgers is still ailing and doesn't get a week off prior to this game -- as he did before the last game -- I've got two words for you: more cowbell. I mean, bell cow, as in Eddie Lacy. Huge props to the Colts' defense, which held the Broncos below their regular-season averages by 17 points and 115 yards. How cool is it to see an NFL team tackle well? In this age of leading with the helmet and grab, grab, grab, coordinator Greg Manusky's defense put together a practicum on tackling in Denver. Seriously, high school coaches should show that game tape to their kids. 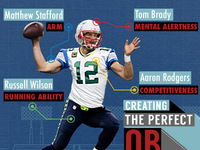 Don't show a high school quarterback film of Andrew Luck's impossibly good throws, though. He very well might quit football. Lost in the haze of Dez Bryant replays and beautiful soliloquies about the play of Aaron Rodgers was the beaut of a game delivered by Tony Romo. He was outstanding, making the throws when the Cowboys needed them, protecting the football and, yes, delivering an amazing toss to Bryant in a huge moment. The coverage, frankly, was perfect. Think about that. We wouldn't even be having a discussion about whether that was a catch or not if Romo didn't make the kind of throw that only his guy could get. It was a wonderful season in Dallas. Period. Boy, the Ravens gave the Patriots all they could handle Saturday night. Joe Flacco clearly has received due recognition for his play in the postseason. Sometimes I wonder where that outrageously high ceiling is in Week 10, but you can't mess with his composure or performance in January. And you know what? Justin Forsett didn't hit a wall, nor was he a fluke. The journeyman running back was almost the difference in New England. Speculation abounds regarding Peyton Manning, and now John Fox is out. While he might not be a top-five coach, Fox is in that 10-to-15 range -- at least. Letting him walk might speak to opening the door for Adam Gase, but it might not. Whatever the case, I have never been of the belief that a coach simply shows up with a quality quarterback, throws the ball out there and wins. Brett Favre played on some mediocre teams. Ditto Dan Marino. 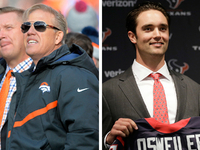 Oh, and John Elway, too. If the mutual parting had anything to do with trying to retain Gase -- potentially in an attempt to appease Manning's desire for continuity -- then I say thumbs down. The question should be, Who is best for the long-term future of the organization? 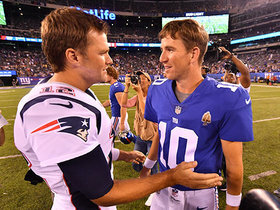 -- with a side note that it be someone Manning could thrive under, should he be healthy enough (and possess the requisite desire) to play another season. Gary Kubiak would've seemed like a nice fit to me, but apparently he's fully content with his current OC gig in Baltimore. Some team must be last in these rankings. So be it. Yet, the Panthers played as strong as anyone down the stretch run, and have much to build on this offseason. Jonathan Stewart showed us all that an eraser can be used on what was written of his career. Kelvin Benjamin showed us that Odell Beckham Jr. and Mike Evans weren't the only rookie wideouts with game. And most importantly, that defense sure resembled its 2013 self over the last month and a half. So does Cam Newton now take a step forward? How do all the rookies who were pressed into service this season fare next season? If you ask me -- and you did by reading this far -- Carolina is one of the most intriguing teams of 2015.